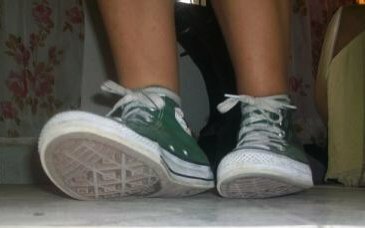 Vintage and recent editions of pine green high top chucks. 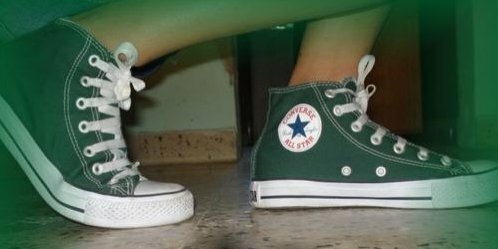 1 Pine Green HIgh Top Chucks Pine green high tops, top view. 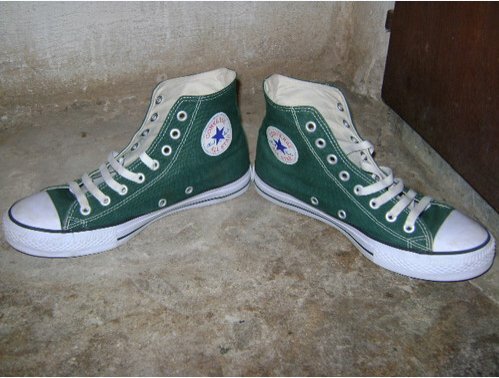 2 Pine Green HIgh Top Chucks Pine green high tops, angled front view. 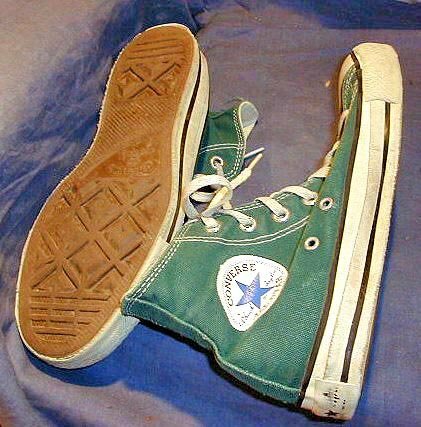 3 Pine Green HIgh Top Chucks Pine green high top, left inside patch view. 6 Pine Green HIgh Top Chucks Front view of a pine green high top next to a black leather high top. 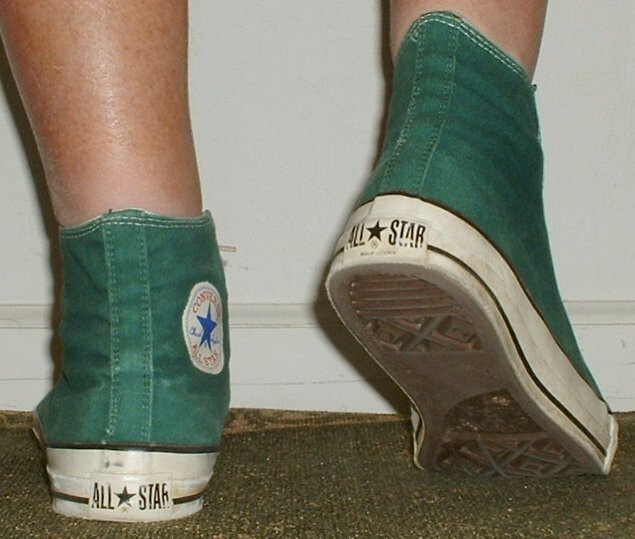 7 Pine Green HIgh Top Chucks Pine green high tops, side view. 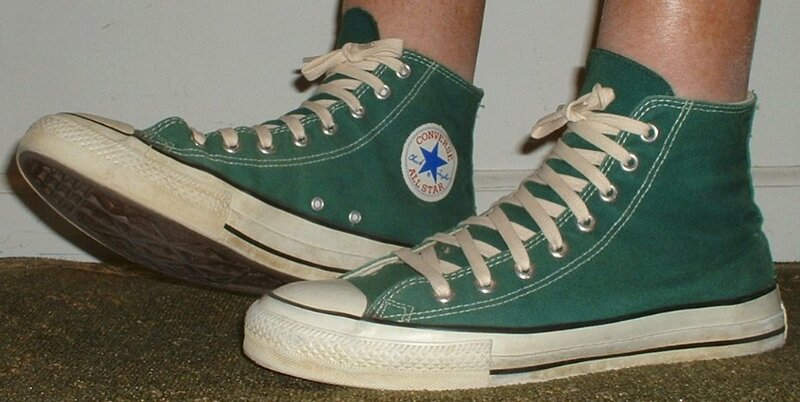 8 Pine Green HIgh Top Chucks Pine green high tops, inside patch views. 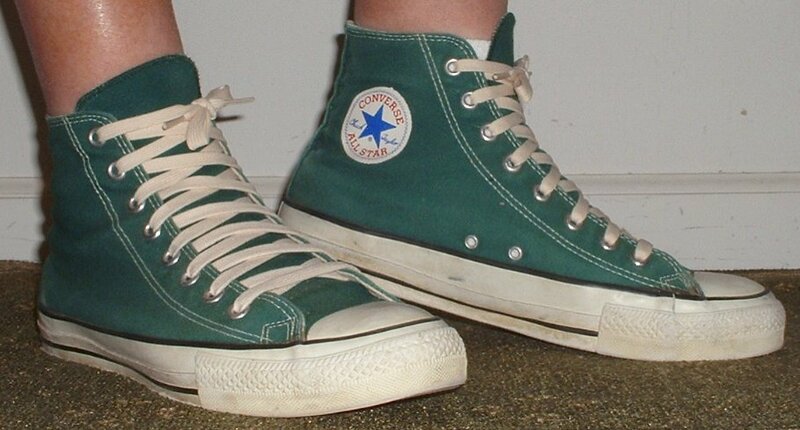 9 Pine Green HIgh Top Chucks Pine green high tops, side and rear views. 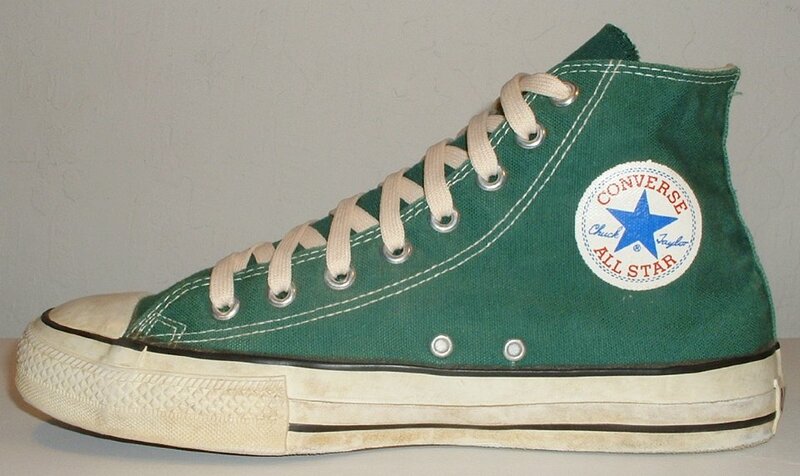 10 Pine Green HIgh Top Chucks Pine green high tops, inside patch and sole views. 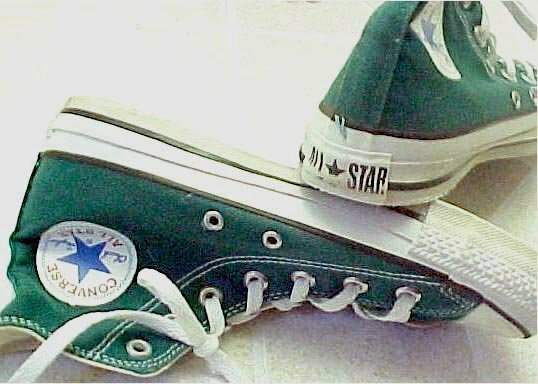 11 Pine Green HIgh Top Chucks Top view of pine green high top chucks. 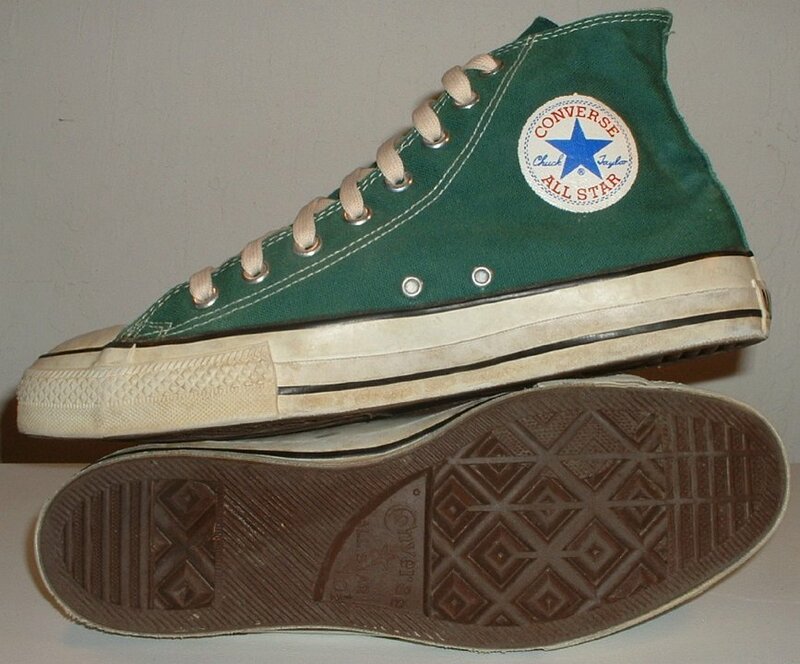 12 Pine Green HIgh Top Chucks Catalog shot of a right pine green high top chuck. 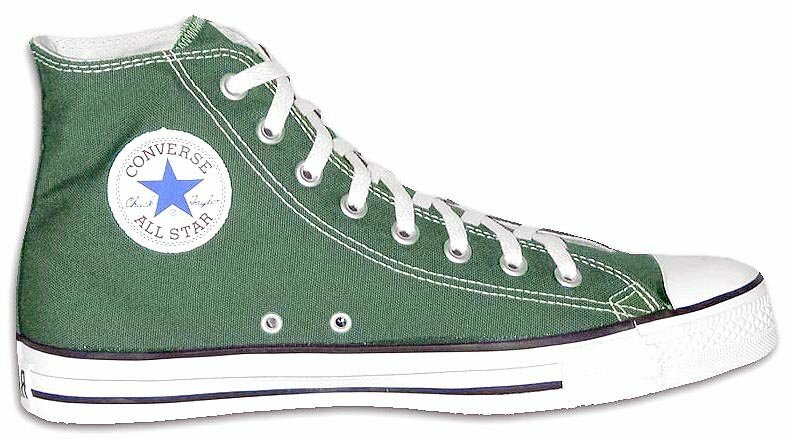 13 Pine Green HIgh Top Chucks Left side view of pine green high top chucks. 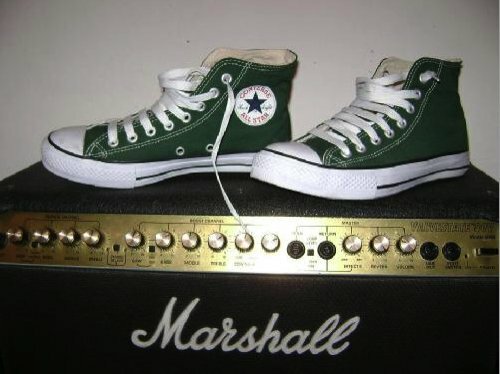 14 Pine Green HIgh Top Chucks Pine green chucks on a Marshall amp. 15 Pine Green HIgh Top Chucks Angled front view of pine green high top chucks. 16 Pine Green HIgh Top Chucks Inside patch view of a right made in USA pine green high top. 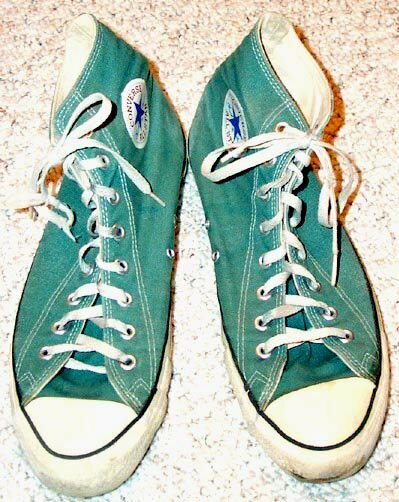 17 Pine Green HIgh Top Chucks Outside view of a right made in USA pine green high top. 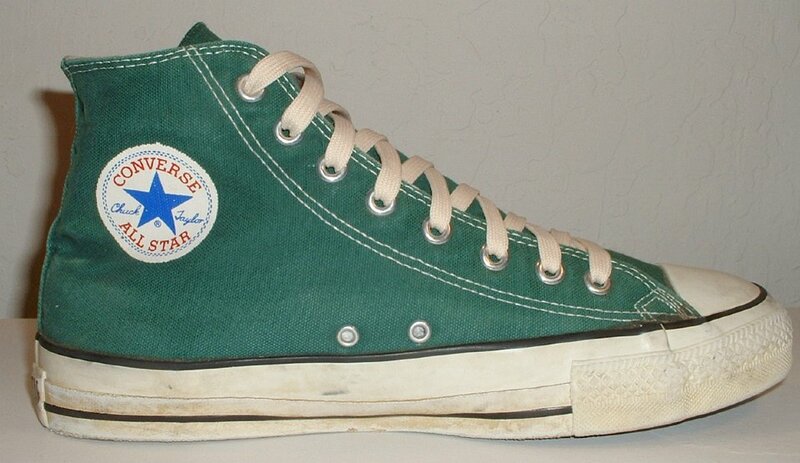 18 Pine Green HIgh Top Chucks Inside patch view of a left made in USA pine green high top. 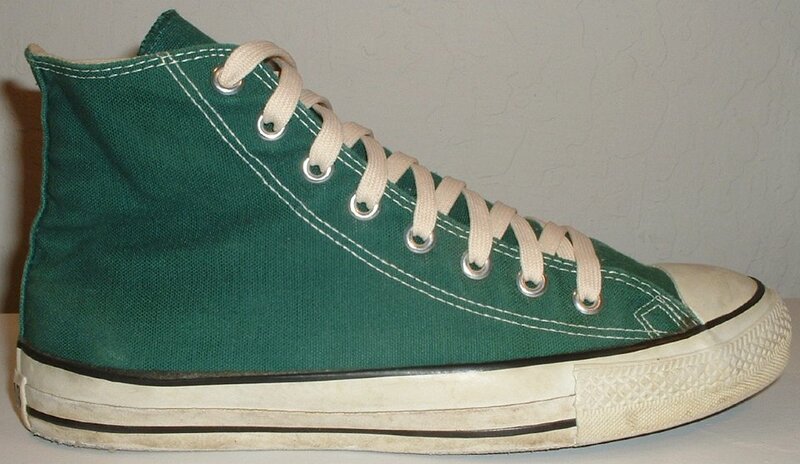 19 Pine Green HIgh Top Chucks Outside view of a left made in USA pine green high top. 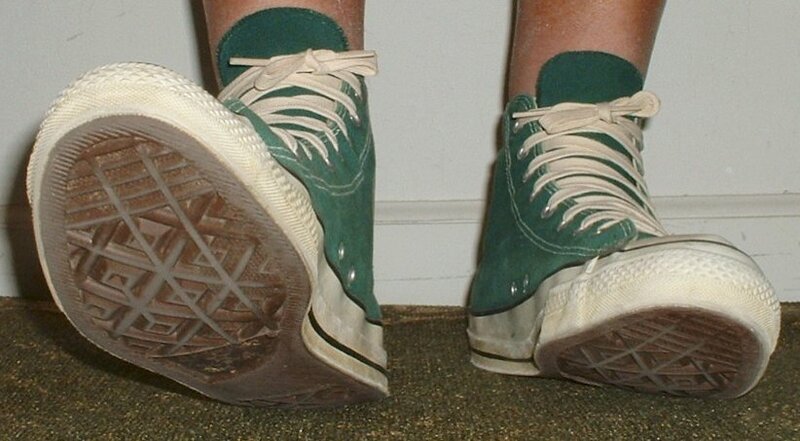 20 Pine Green HIgh Top Chucks Rear view of made in USA pine green high top chucks. 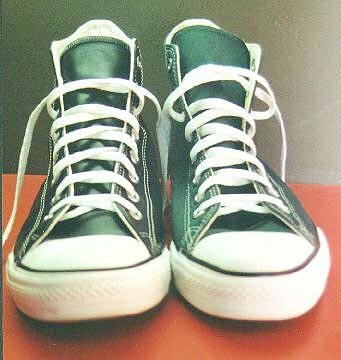 21 Pine Green HIgh Top Chucks Angled side view of made in USA pine green high top chucks. 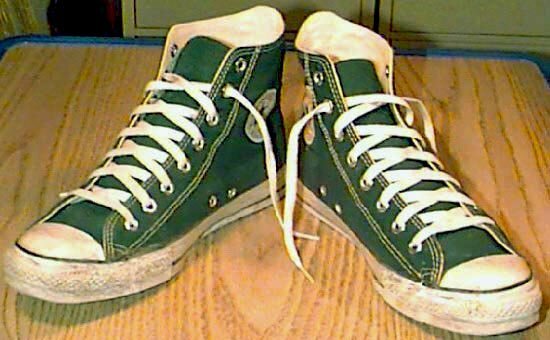 22 Pine Green HIgh Top Chucks Front view of made in USA pine green high top chucks. 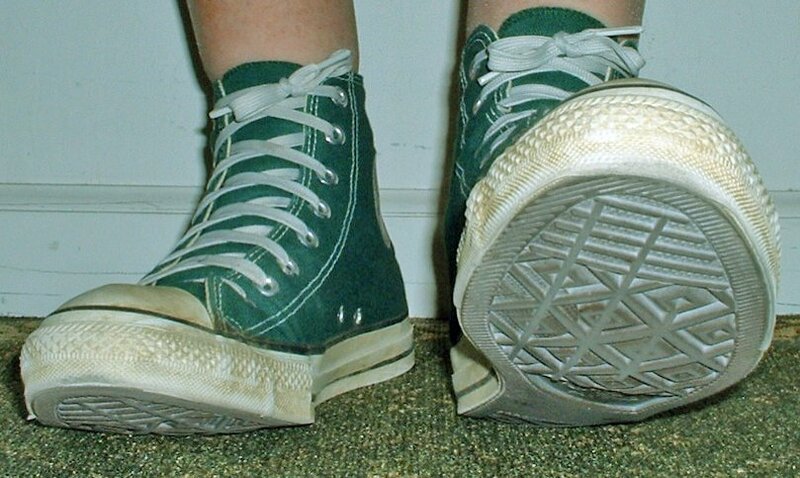 23 Pine Green HIgh Top Chucks Angled front view of made in USA pine green high top chucks. 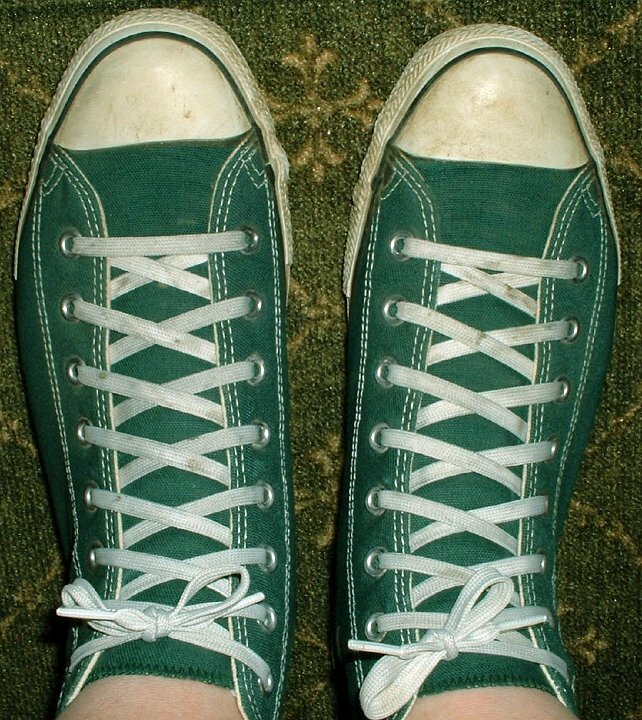 24 Pine Green HIgh Top Chucks Top view of made in USA pine green high top chucks. 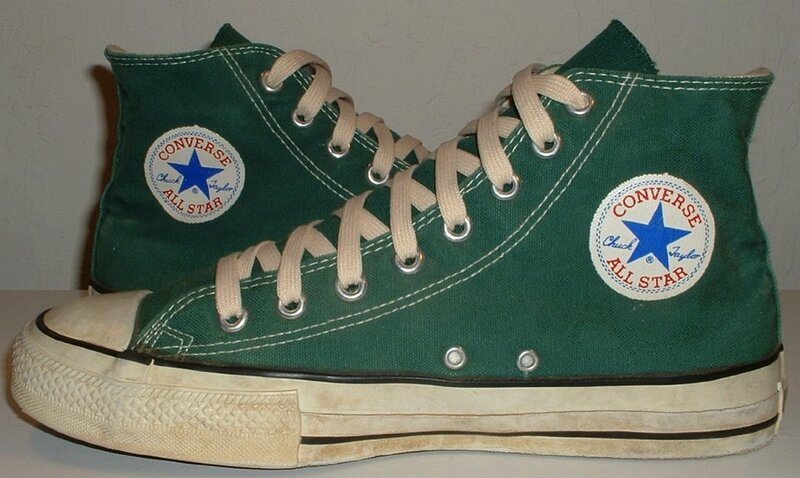 25 Pine Green HIgh Top Chucks Inside patch views of made in USA pine green high top chucks. 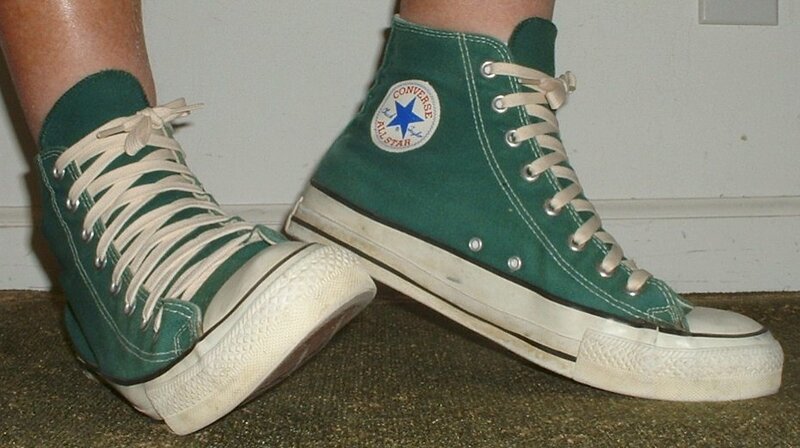 26 Pine Green HIgh Top Chucks Outside views of made in USA pine green high top chucks. 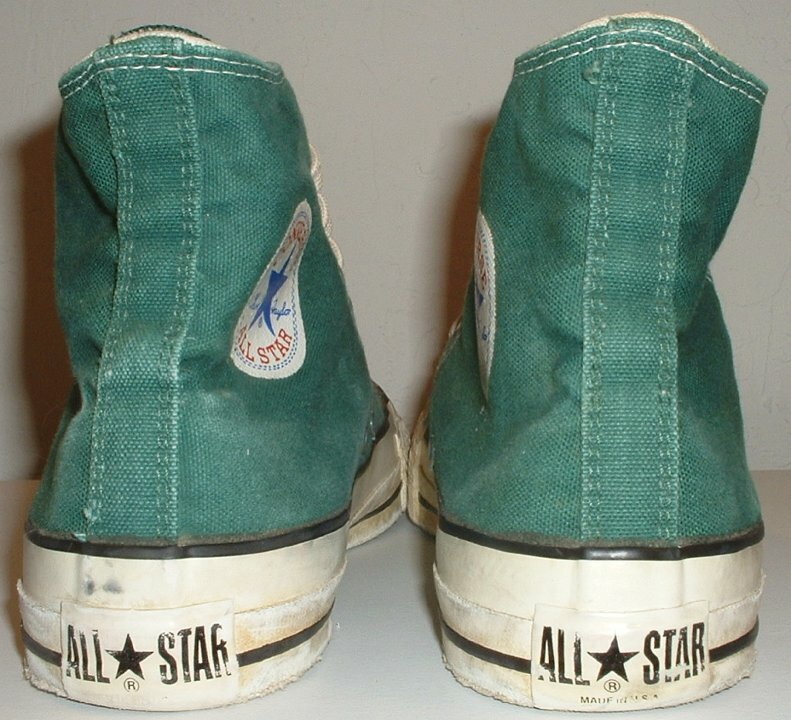 27 Pine Green HIgh Top Chucks Inside patch and sole views of made in USA pine green high top chucks. 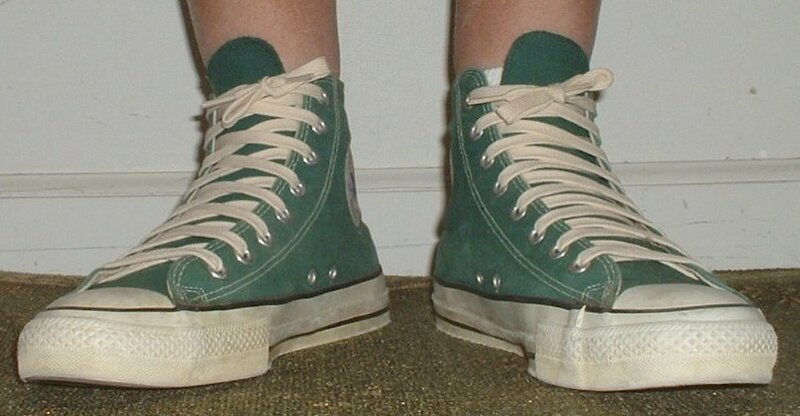 28 Pine Green HIgh Top Chucks Wearing made in USA pine green high top chucks, front view. 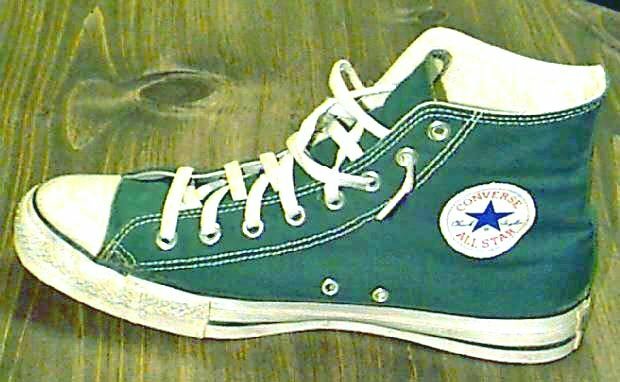 29 Pine Green HIgh Top Chucks Stepping out in made in USA pine green high top chucks, front view. 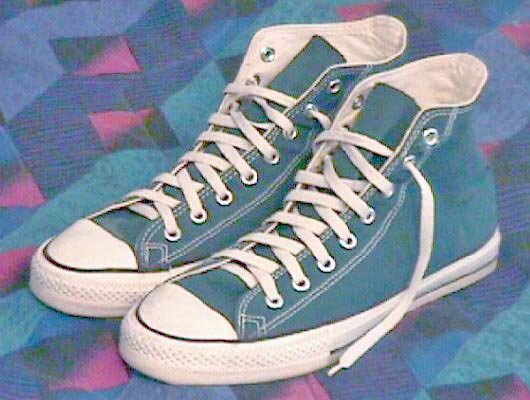 30 Pine Green HIgh Top Chucks Stepping out in made in USA pine green high top chucks, front view. 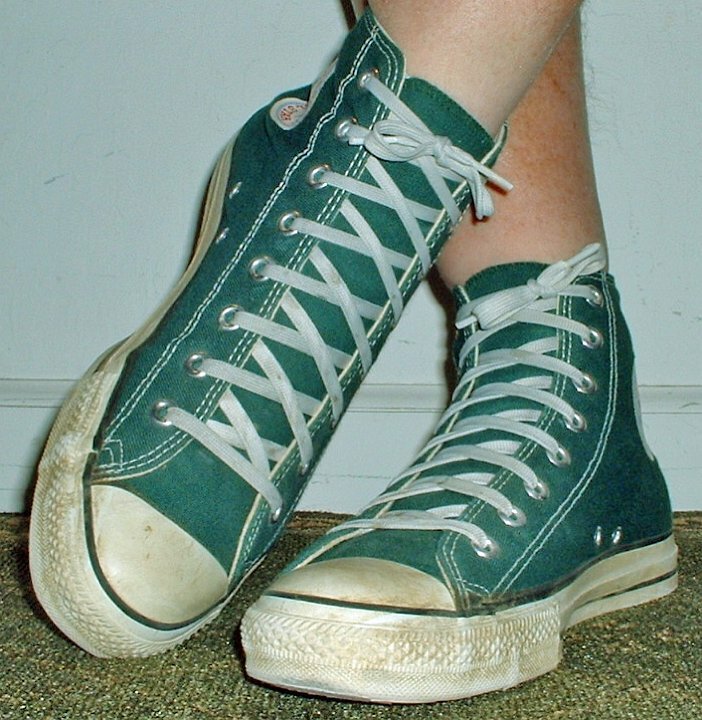 31 Pine Green HIgh Top Chucks Wearing made in USA pine green high top chucks, angled left and sole views. 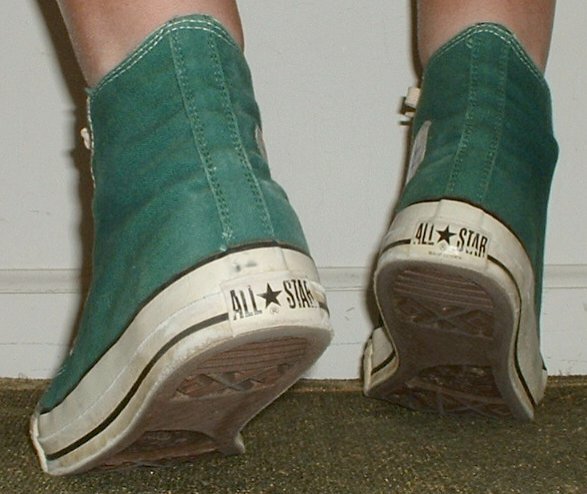 32 Pine Green HIgh Top Chucks Stepping up in made in USA pine green high top chucks, rear view. 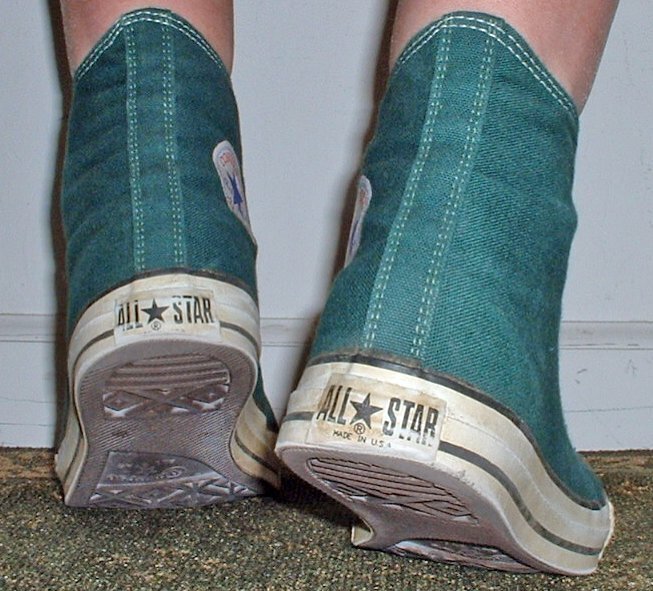 33 Pine Green HIgh Top Chucks Stepping up in made in USA pine green high top chucks, rear view. 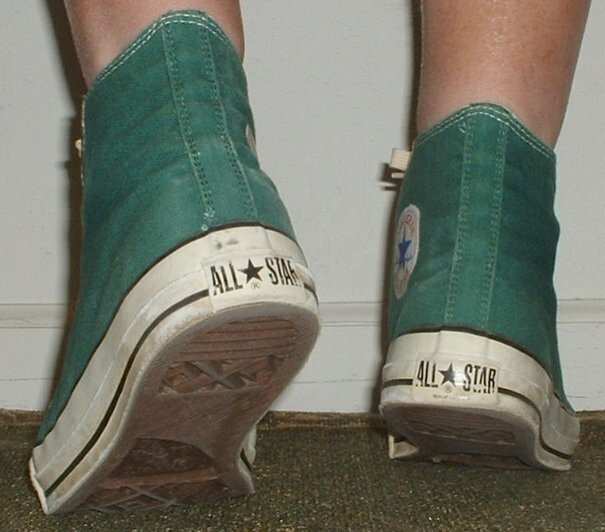 34 Pine Green HIgh Top Chucks Stepping up in made in USA pine green high top chucks, rear view. 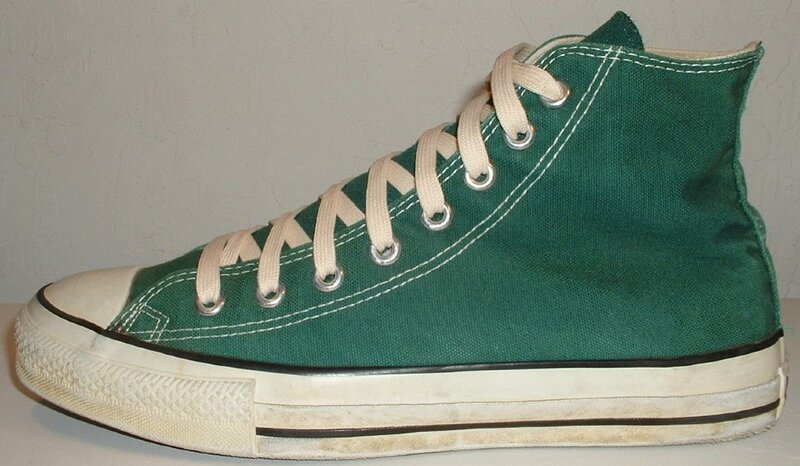 35 Pine Green HIgh Top Chucks Wearing made in USA pine green high top chucks, angled right views. 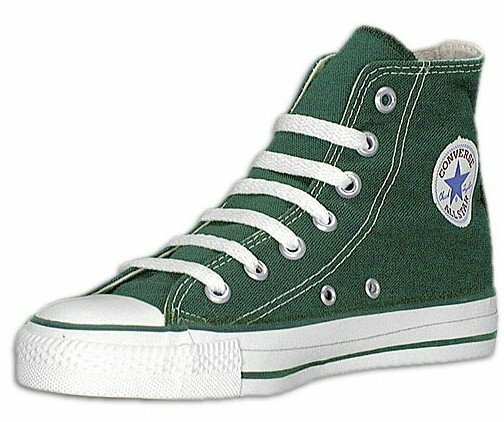 36 Pine Green HIgh Top Chucks Lounging in made in USA pine green high top chucks, angled right side views. 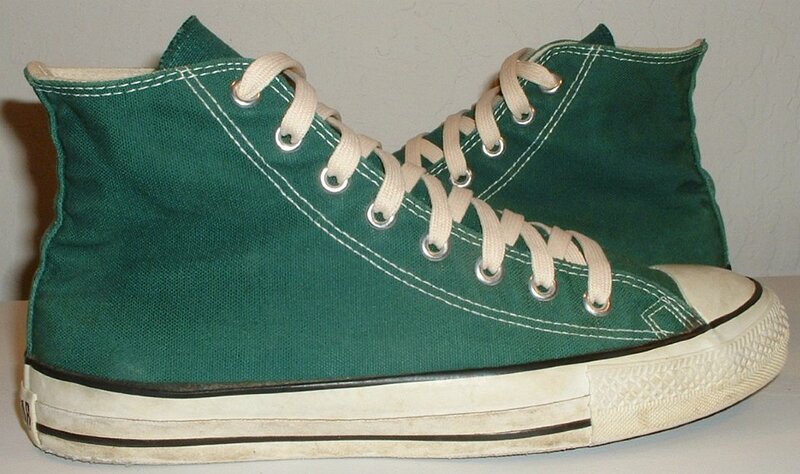 37 Pine Green HIgh Top Chucks Wearing made in USA pine green high top chucks, angled right side and sole views. 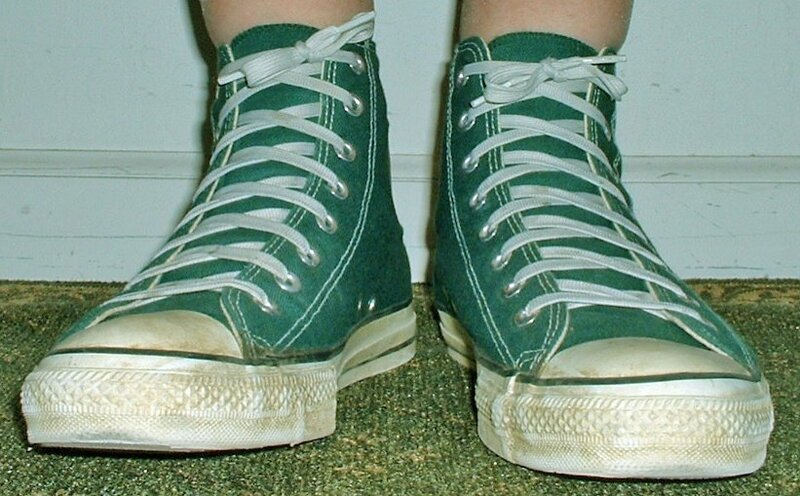 38 Pine Green HIgh Top Chucks Wearing pine green high tops. 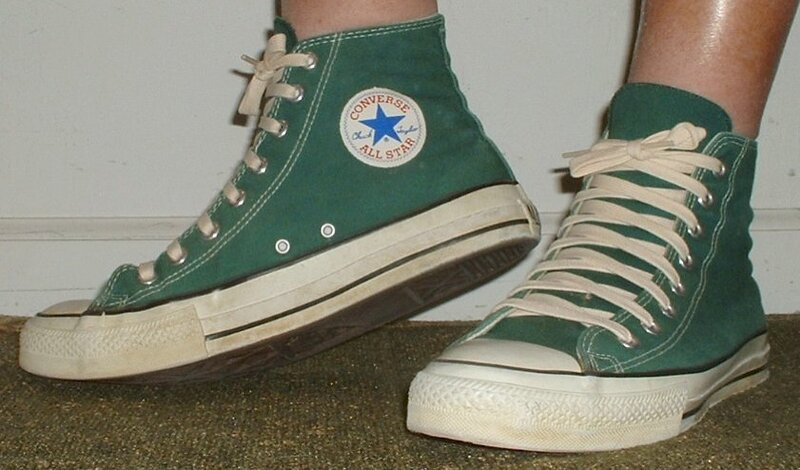 39 Pine Green HIgh Top Chucks Wearing pine green high top chucks, top view. 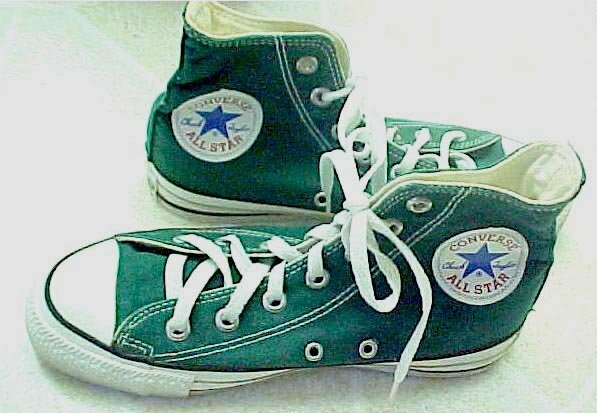 40 Pine Green HIgh Top Chucks Wearing pine green high top chucks, front view. 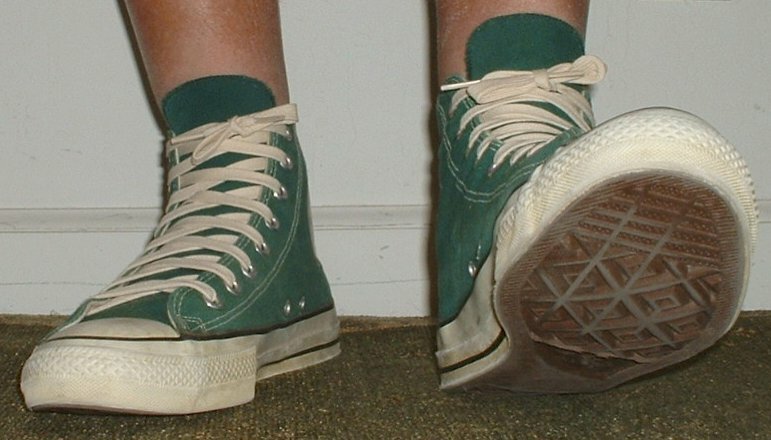 41 Pine Green HIgh Top Chucks Stepping out in pine green high top chucks, front view. 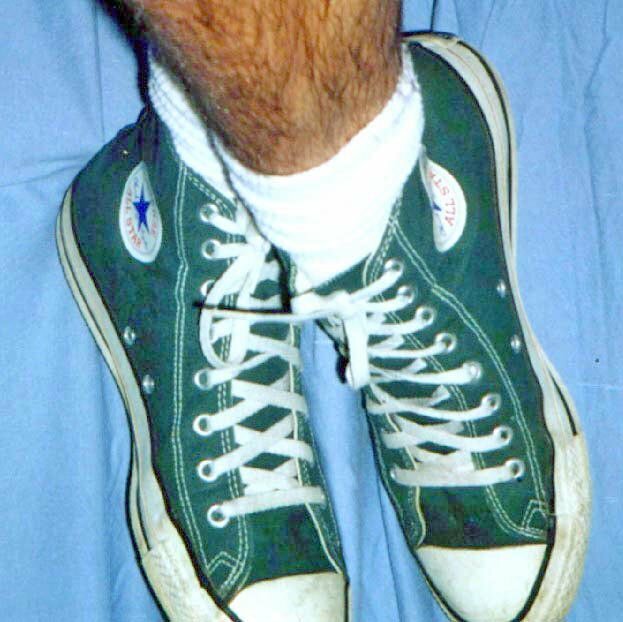 42 Pine Green HIgh Top Chucks Wearing pine green high top chucks, crossed leg view. 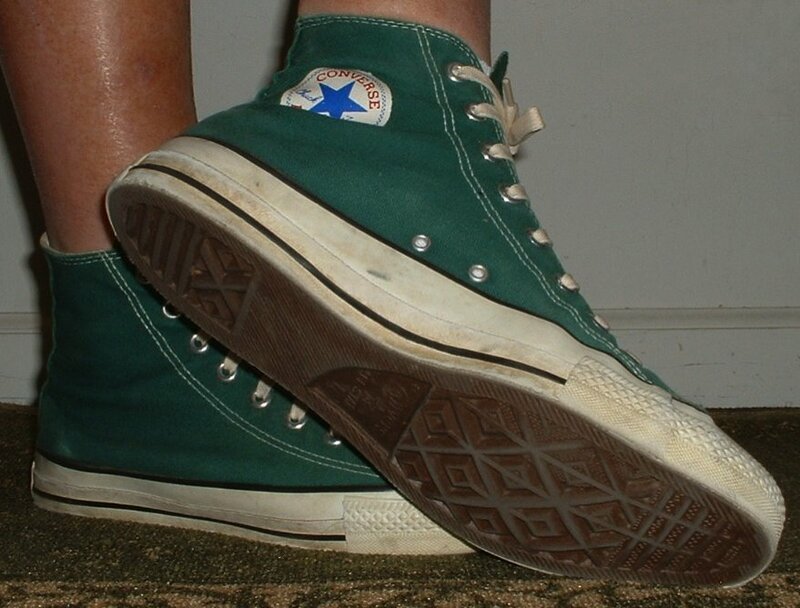 43 Pine Green HIgh Top Chucks Wearing pine green high top chucks, rear view. 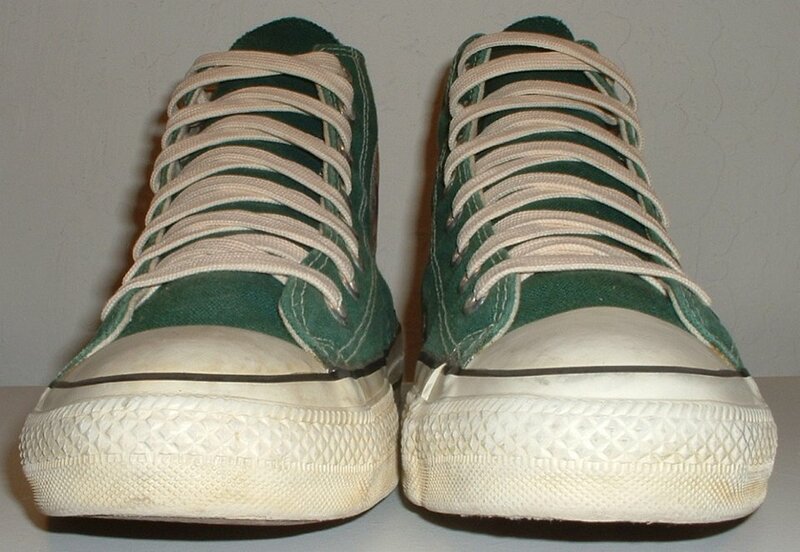 44 Pine Green HIgh Top Chucks Wearing pine green high top chucks,right side view. 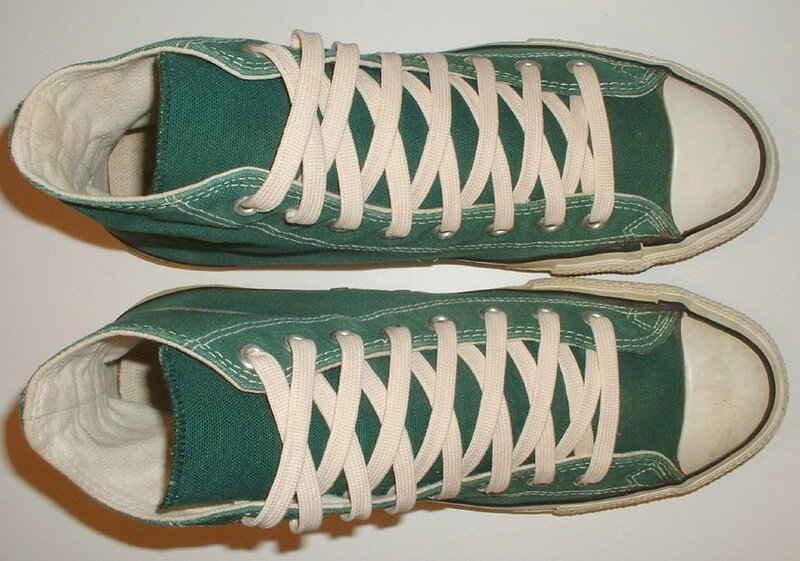 45 Pine Green HIgh Top Chucks Wearing pine green high top chucks, front and right indside patch view. 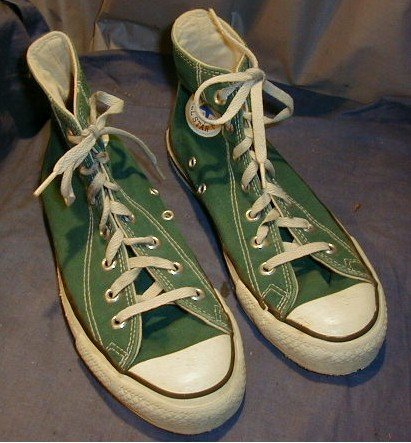 46 Pine Green HIgh Top Chucks Wearing made in USA pine green high top chucks, angled left view. 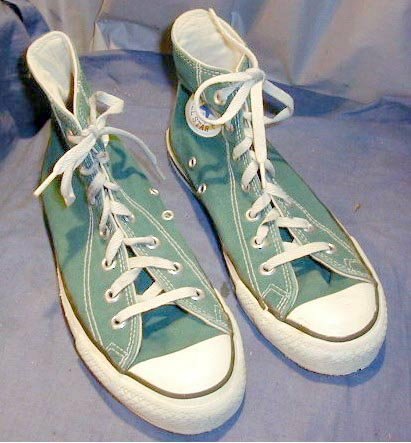 47 Pine Green HIgh Top Chucks Stepping out in made in USA pine green high top chucks, left view. 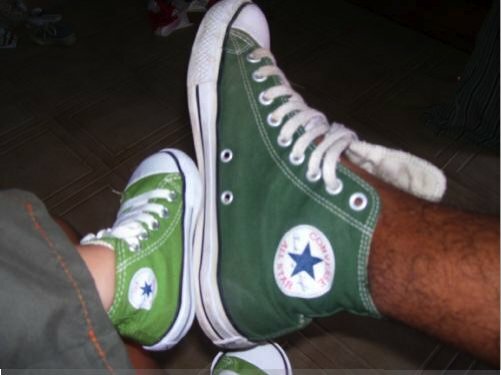 49 Pine Green HIgh Top Chucks Stepping out in pine green high top chucks. 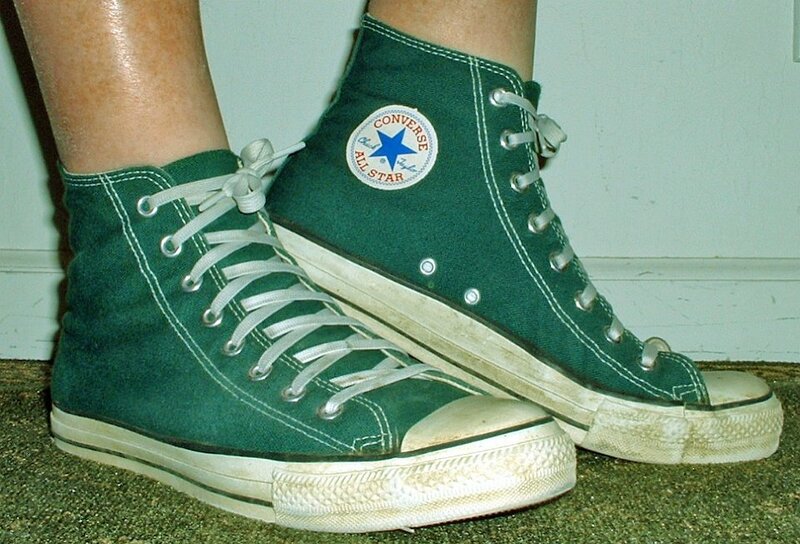 50 Pine Green HIgh Top Chucks Wearing pine green high top chucks. 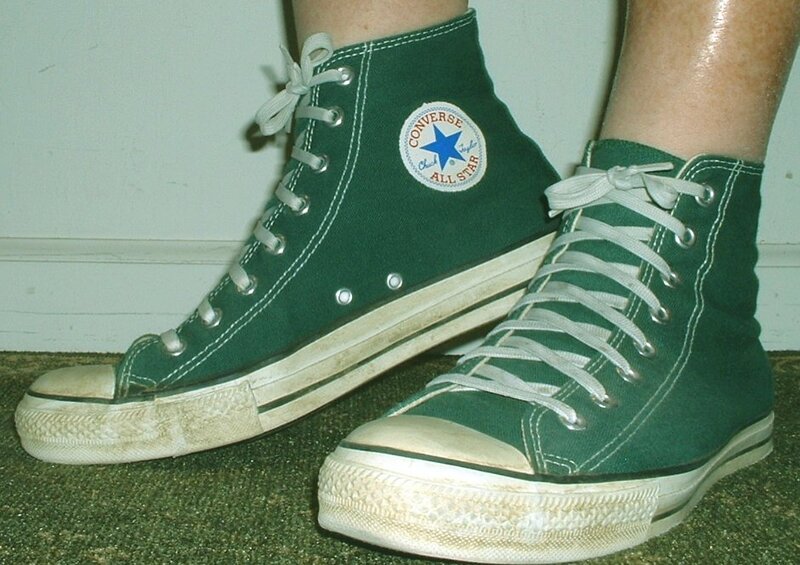 51 Pine Green HIgh Top Chucks Wearing green high top chucks, front view. 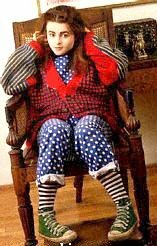 52 Pine Green HIgh Top Chucks Wearing granny apple green and pine high tops. 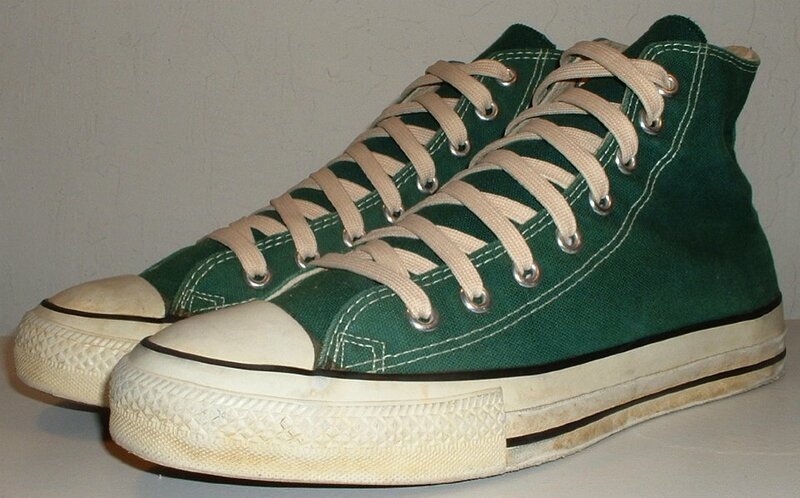 This gallery contains vintage and recent editions of pine green high top chucks. 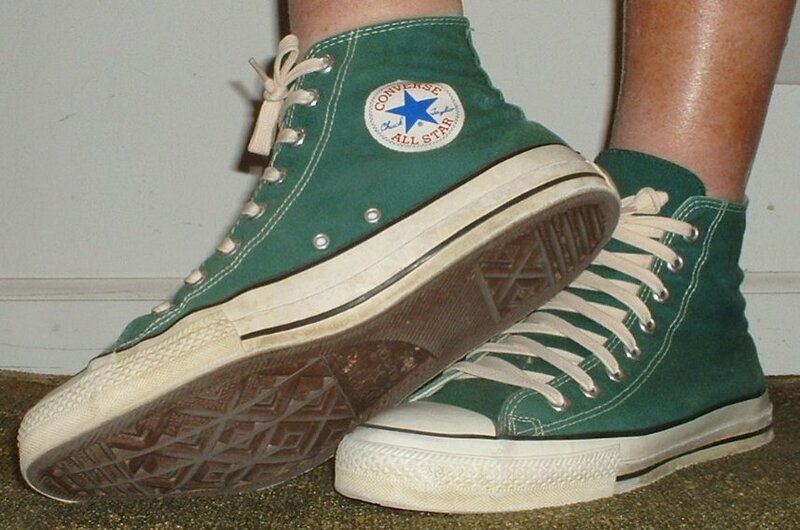 In the 1980s and 1990s, pine green chucks were considered a core color.